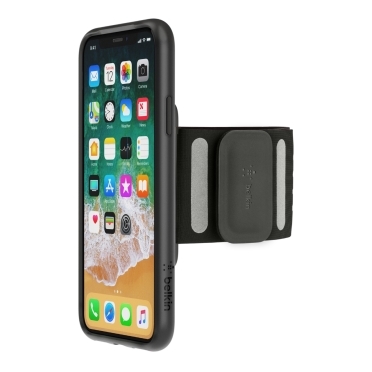 The revolutionary iPhone X deserves a high-performing armband. 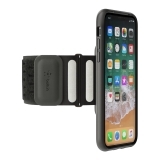 The Fitness Armband for iPhone X has been carefully engineered to provide comfort and style. It preserves access to all the iPhone X features, is lightweight and comfortable on your arm, and protects the iPhone X during even the most active workouts. 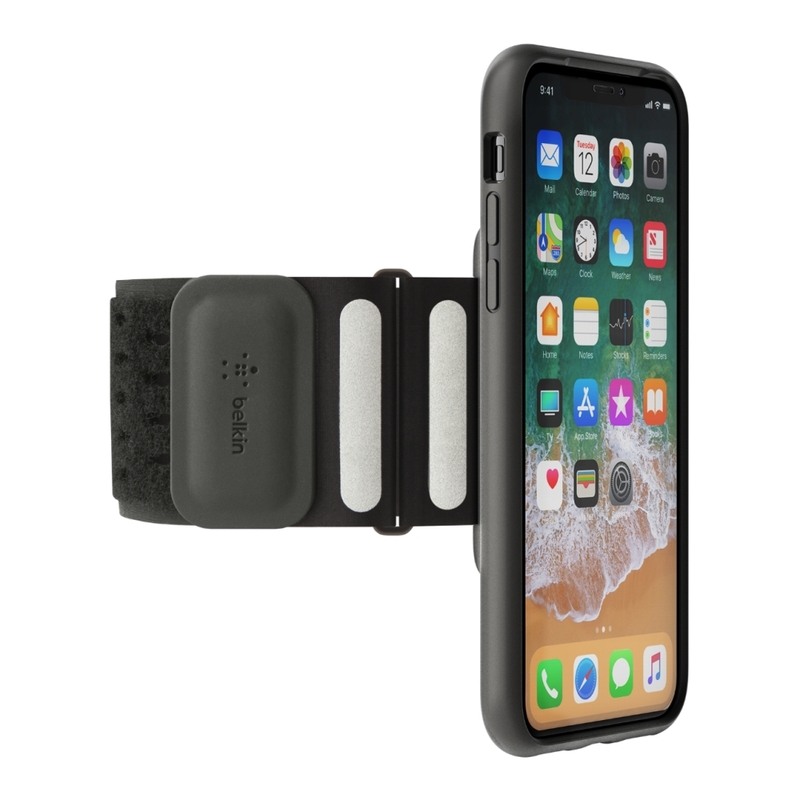 The Fitness Armband for iPhone X means you can focus 100% on your performance with no distraction. 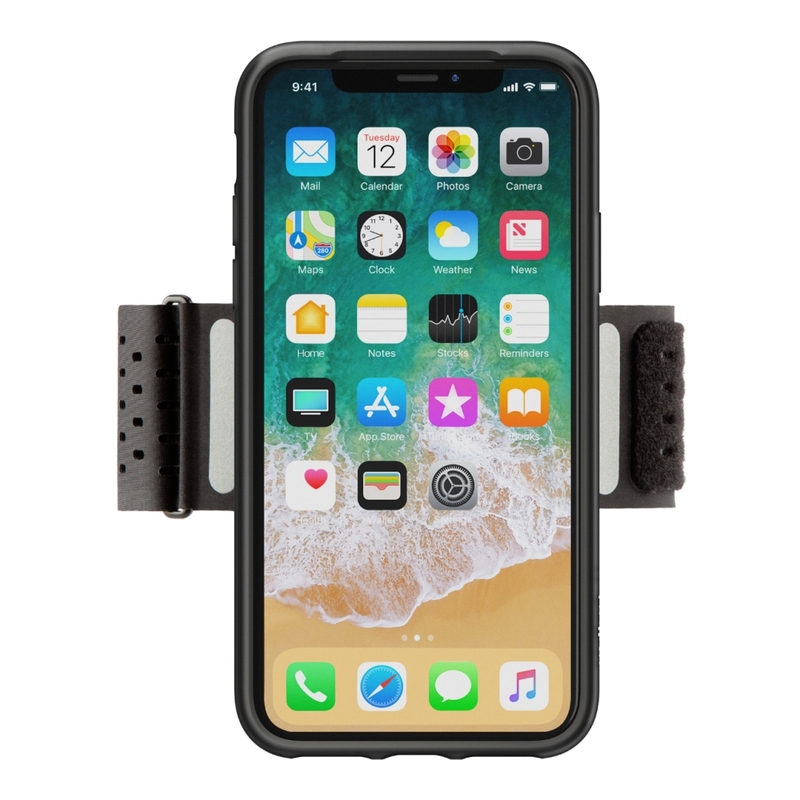 The ultra-thin fabric strap threads through a durable metal loop, securing at the perfect length to hug your arm closely. The perforated material allows air ventilation to stay breathable, and stretches to move with your arm for added comfort. 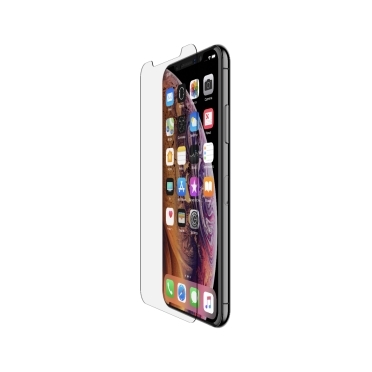 The protective, form-fitted case for your iPhone X provides impact-resistance and protection from scratches. 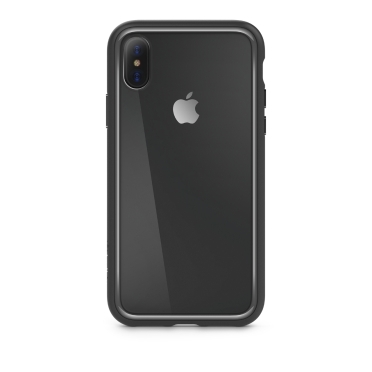 The back panel delivers sweat-resistant, soft cushioning to protect your iPhone X from moisture and for comfort against your skin. Ultra-minimal design coupled with advanced engineering eliminate the bulkiness found in many armbands, without compromising protection. 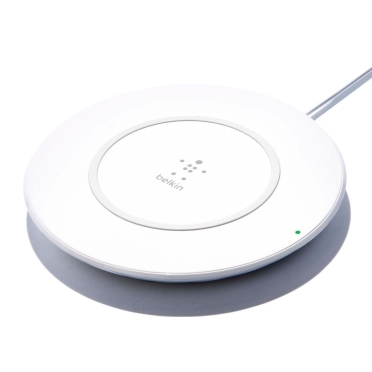 Further design details ensure full access to the Lightning connector and screen to preserve functionality when in use, including access to the camera so you never miss a photo opportunity. The result is slim, lightweight, minimal and barely bigger than the iPhone X itself, allowing you to work out while leaving your hands free. Highly reflective accents on the armband provide increased visibility in low light and added safety for the wearer. 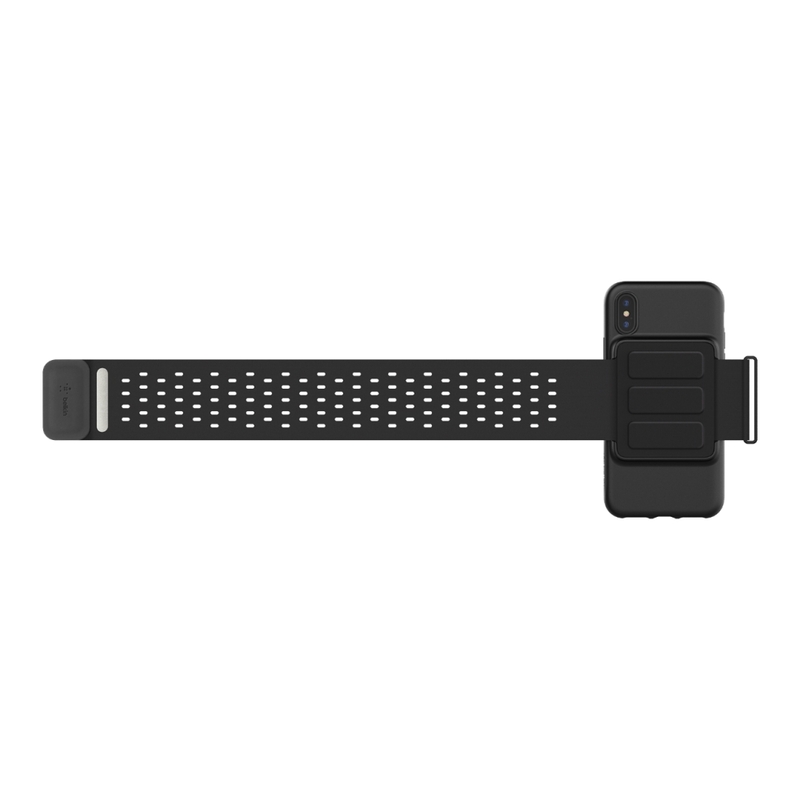 The armband is easy to put on and take off, thanks to a badge on the strap. The badge acts as a grab point to prevent the strap slipping out of the metal loop when unsecured, ultimately providing even more security for your iPhone X.